A reminder that our SEASON TICKET PRIZE DRAW FOR LIFE MEMBERS has a qualifying date of Monday 22nd April. All life members at that date automatically be in the draw for this great prize, sponsored kindly by Manor Flooring. 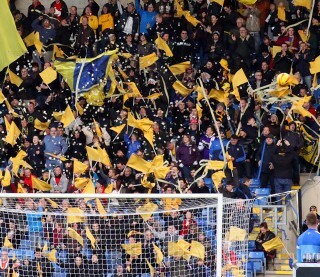 The prize will be an Adult East Stand season ticket for 2019-20, which can be upgraded to any area of the ground by the winner should they wish, on payment of the upgrade price. OxVox members can upgrade to life membership online, please select the RENEW link on the top menu and pay the upgrade fee of £25 for adults (£15 for over 60s). Fans who are not yet members but wish to join as a life member should select the JOIN OXVOX link. Life members also receive a reward card giving membership to our life members’ Reward Scheme, which adds value to a life membership of the trust. It has now been running for some weeks and we plan to add further Partners over the coming months. For further information about current Partners and the benefits and discounts they offer to Scheme members please visit the REWARDS page for details.